Here's one from the vaults that still retains currency. 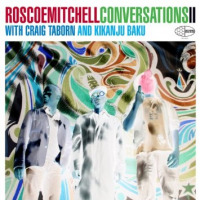 This duo recital captures pianist Matthew Shipp and reedman Roscoe Mitchell in concert at the 2005 Sant'Anna Arresi festival in Sardinia. 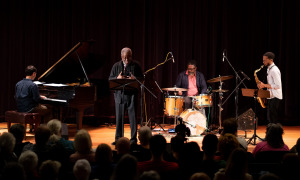 Shipp has enjoyed a lengthy association with the veteran Art Ensemble Of Chicago founder, documented on This Dance For Steve McCall (Black Saint, 1992) and Nine To Get Ready (ECM, 1999). Even though the pianist has since forged a successful career as leader, the pairwho can be counted among the most distinctive exponents of their instrumentscontinue to perform together sporadically and, indeed, appeared at New York's Carnegie Hall in January 2018. Although demarcated into seven parts, marking changes in dynamics, the performance is continuous. It presents a wonderfully gripping feat of concentrated interaction. 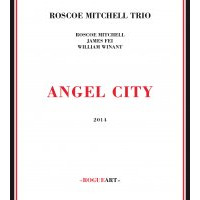 The start is unanticipated in its pastoral languor, with tinkling piano and almost hesitant alto saxophone. But, thereafter, emerge the sort of bracing angular contours one might expect. Shipp weaves a rich sonic carpet from gushing thickly-voiced runs, abrupt accents and resounding depth-charges. 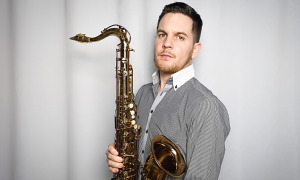 Mitchell remains an uncompromising figure, using a vinegary tone and unparalleled mastery of circular breathing to embark on staggering rollercoaster journeys. 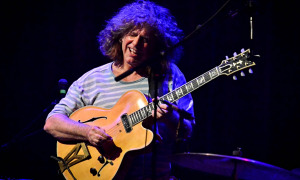 High energy passages such as "IV" and "VI," where quick-fire staccato piano fuels Mitchell's surge into ferocious streams of sinuous waves, are tempered with more reflective episodes such as "V," where Shipp plucks at the piano's interior and Mitchell sustains long pure notes on flute (in contrast to his saxophone lines which are rarely uninflected). 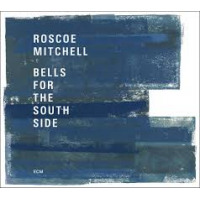 An especially strong connection exists between Mitchell's rampaging upper register and Shipp's ringing bass-clusters. Such exchanges speak of intense mutual listening going on, meaning that the direction and duration of the flow is the product of an ongoing negotiation. It results in both enjoying an unaccompanied spell early on, but it's together that the sparks really fly. 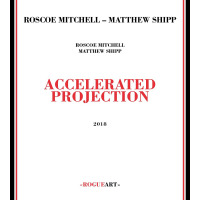 Track Listing: Accelerated Projection I; Accelerated Projection II; Accelerated Projection III; Accelerated Projection IV; Accelerated Projection V; Accelerated Projection VI; Accelerated Projection VII. 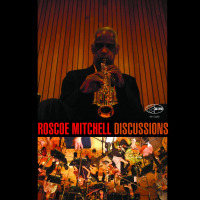 Personnel: Roscoe Mitchell: Alto and Soprano Saxophones, flute; Matthew Shipp: Piano.